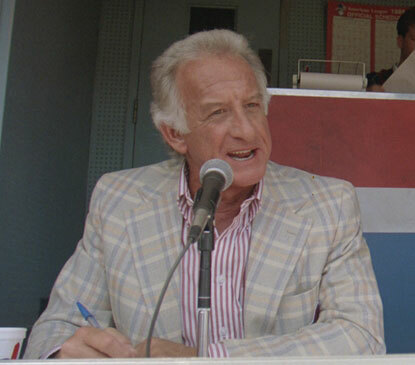 “Here's the pitch. Ball four, and he walked him. That's going to bring the tying run to the plate for the Toronto Blue Jays. A little excitement here at the end. 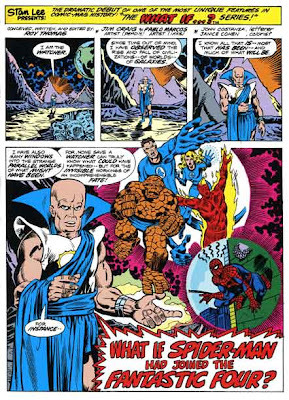 Faithful Bloglodytes of Heroes need not be reminded of the narrator’s physical ineptitude. To call me athletic would be akin to calling Kim Kardashian talented. Oh, I played the occasional game of kickball or what was referred to as “squash”—same as the former, only the man up hit the oversized rubber ball from their own mitts before running the bases—in grade school. I was never a powerful hitter or booter, but I was small and quick, which helped in getting on base and served me well when escaping the clutches of class bullies. I was one of the smarter kids, though the blue ribbon would probably have gone to Maryann Wojner, she of the shoulder-length dirty-blond curls and iridescent blue eyes… not that I (ahem) noticed. Of course, being tops in school is like being public enemy number one: you’re everybody’s target. Living apart from my classmates only exacerbated the situation. I grew up in a house on the main commercial street of town—between an Oldsmobile dealership and a funeral parlor and across from a gas station, long-forgotten cemetery and supermarket—too far for a young boy to walk to play with his peers. Thus, I didn’t have the after-school interactivity of my classmates, which contributed to my alienation and shyness. My dad was never around much before he and my mom split—when I was eight—and less so thereafter. He was always quick to criticize me, though, with the length of my hair being a particular favorite point of contention. Then there was his keen interest in my athletic activities, or rather, my lack thereof. “Why don’t you play (insert sport here),” was a typical refrain following the opening verse on the measure of my mane. 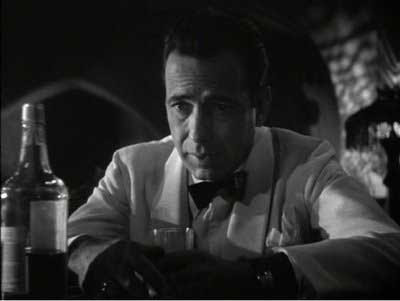 The remarks were made with such vehemence as to be more of a shakedown than an absentee father’s interest in his son’s life. All that was missing was the fizzling bare light bulb above my head. It’s as if I’d somehow offended him. Not once did he play catch with me, show me the proper way to hold a football or take me to a game. He actually gave me a football, helmet and shoulder pads for Christmas one year, as if the mere ownership of the proper equipment was all that was required to induce a person to participate in a sport. I’m sure Mario Batali’s career as a chef began when his father dumped a couple bags of groceries on his lap one day before leaving the house. Shunning baseball was harder. The car dealership’s lot may have wrapped behind our backyard, but just beyond that was the park where the area’s yearly Little League tryouts were held. The weeks leading up to them I was pelted, prodded and verbally assaulted by my dad to partake in America’s pastime. Did he offer to take me over to the fields himself? What, and elevate his status from sperm donor to father?!! Hell, no! It wasn’t until a few years later that I picked up a bat for the first time. By then fate had decided that the one ray of hope I had growing up—my skinniness and speed—had expired. I’d ballooned to two hundred pounds, though my height remained constant: a scant 5' 7". My mother blamed the Prednisone that I was put on after suffering a bout of Bell’s Palsy in sixth grade. True, one of the side effects of the drug is weight gain, but that just happened to also be one of the unfortunate genetic underpinnings of being a Vrattos. “Difficulty in controlling emotion,” “depression,” “mania” and “psychosis” are also listed as possible results of using Prednisone, but you’d be hard-pressed to tell the difference in my level of mental instability before using the drug and after! 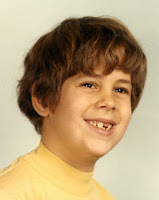 Thankfully the partial paralysis of my face that resulted from the affliction went away—like I needed another obstacle in my treacherous climb toward adulthood—but the additional girth in my midriff remained. Gone was the elusiveness that had saved my life more than a few times in elementary school, just in time to have organized sports foisted upon me. 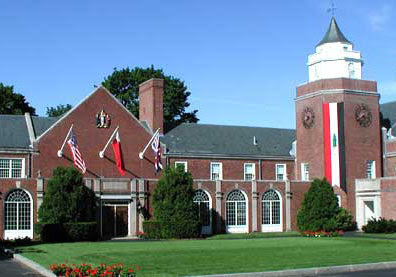 The private all-boys school my parents enrolled me in, and to which I was accepted and studied from seventh to twelfth grades, had a strict policy of every boy participating in sports the fall and spring seasons of the school year—the winter season was optional. One’s choices in the spring were tennis (Sh’yeah, right! ), Lacrosse (Isn’t that what they nailed Joan d’Arc to?) or baseball. Unsurprisingly, I picked the latter. There was such a turnout for America’s pastime in my sixie year—newbies who faced half a dozen years ’til graduation—that two teams were established, the “adepts” and the “inepts.” Guess which category I fell into? I didn’t mind. The thought of displaying my total lack of athleticism in front of anyone, never mind my peers, terrified me. 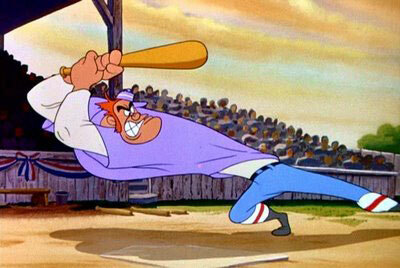 Having to do so in front of my class’s baseball elite would only have heightened my failings. I took up position in right field, perennial home of untalented ball players. The few times the coach hit to me in practice, I zigzagged the field like I was being shot at, only to arrive too late to catch the ball… if I was near it at all. I wouldn’t have made the roster of the Bad News Bears. 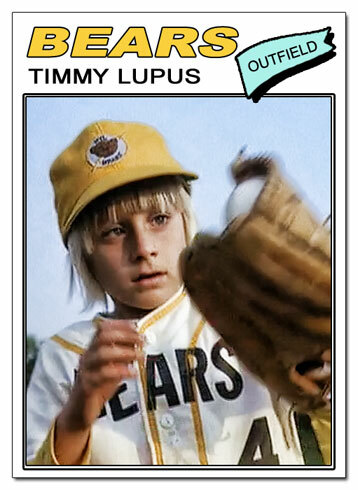 My right-field play made Lupus look like a Gold Glover. As for hitting, they changed the name to missing when it was my turn at batting practice. I don’t think I could’ve hit a T-ball, if that were even an option. My “talents” were only put to the test one time: the final game of the season. I think the coach was obligated to play everyone at least once. Fortunately, the season-ender wasn’t a nail-biter. I swear I heard him sigh in relief as the opposing team increased the lead to the point where it would’ve taken Murderer’s Row for us to have any hope of a comeback. At least he could utilize me safe in the knowledge that I wouldn’t lose the game. I made a single plate appearance and struck out in three pitches. I take solace in knowing that I only swung at the third one. At least my opponent had to earn the first two strikes himself. Thus endeth my baseball career. All of which made throwing out the first pitch at a Major League Baseball game so-o-o-o-o-o sweet. 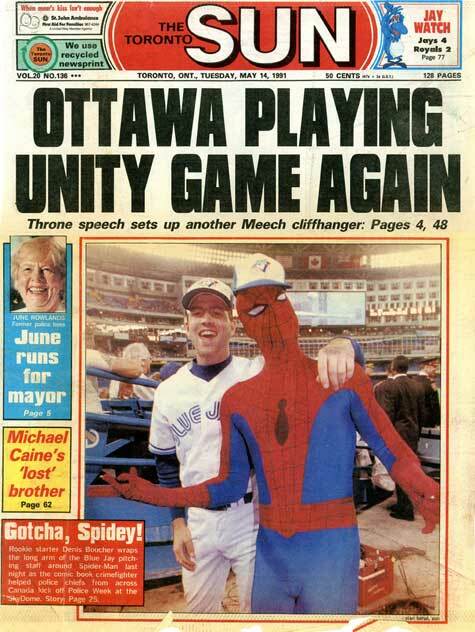 I’d barely defrosted from my trip across Canada for the countrywide kickoff press tour for the Canadian Association of Chiefs of Police’s custom Spider-Man comic book program (see “Northern Exposure, Parts I and II”), when the second book in the series was released. 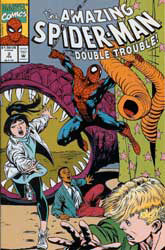 “Double Trouble” sported both cover and interior art by Herb Trimpe and was written by Dwayne McDuffie. Continuing the anti-drug theme of the inaugural book—“Skating on Thin Ice”—the Chameleon infiltrates a science fair in Fredericton, Ontario, interested in one of the students’ projects, one that he believes could lead to untold fortunes. To get closer to the object of his desire, he takes on the aspect of a student, one dabbling in drugs. As luck would have it, Daily Bugle photographer, Peter Parker, is sent to Canada to take pix at the fair. What are the chances? Our Web-tastic Web-Slinger exposes the culprit and foils his nefarious plans, serving up a few lessons about the evils of drugs in the process. 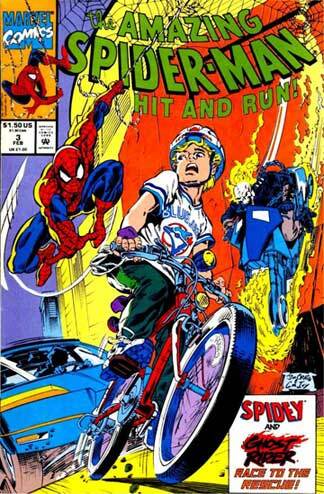 Steering away from the serious subject of drug abuse, the Toronto-set tertiary tome presents the issue of bicycle safety as the subtext to its Spider-Man adventure. 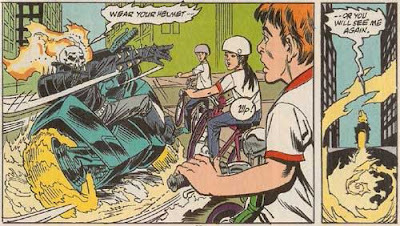 To replace the excitement that may have been lost by switching from the creepiness of drugs to the less sensational, yet no less important, topic of bike safety, scribe Dwayne McDuffie includes Ghost Rider in the mix. The scene when the flaming-skull–benoggined motorcycle-riding demon warns a group of youngsters to “wear your helmets… Or you will see me again” is all-at-once unsettling and funny. After all, the Harley Hellion never dons one himself. True, it could be argued that he’s already dead—what’s the worst that could happen—but there’s still the point of his threatening the children. Heck, I’d be wearing a helmet 24/7 after that! As with the first two books in the series, “Hit and Run” is peppered with Canadian personalities and Spidey’s signature web-slinging takes him swinging by, over and from the landmarks of the city, including a nice shot of the Wall-Crawler swinging from the city’s preeminent skyline feature, the CN? Tower. 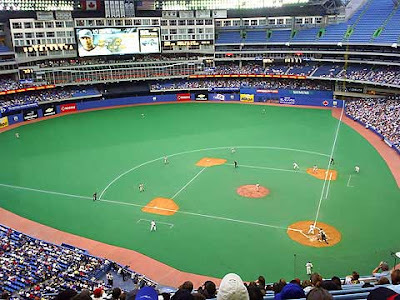 No surprise, since the brunt of the adventure is set within the Skydome—now Rogers Centre—home of the twice champion Blue Jays, located at the base of the towering edifice. All but forgotten Canadian comic-book artist Jim Craig, who had seemingly dropped off the face of the Earth—certainly the face of the funny book industry—was rediscovered by oft-mentioned Eric Conroy (see “Northern Exposure, Parts I and II”), the marketing brains behind the program. 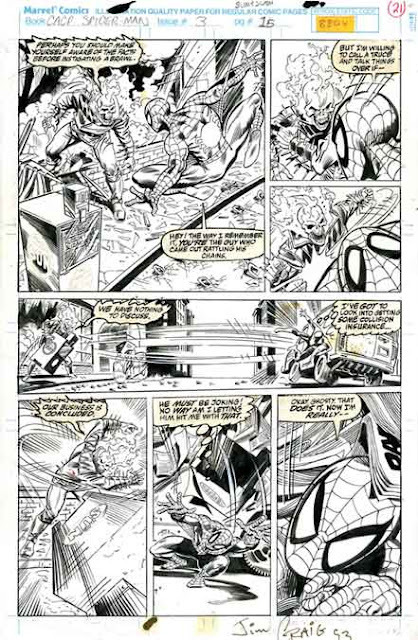 Craig's limited funny-book resume includes the interior penciling chores for Marvel’s What If... #1: “What If Spider-Man Had Joined the Fantastic Four?” He took over the art chores for the series with issue three and his dynamic, quirky style—reminiscent of Todd McFarlane and Bernie Wrightson—makes one wonder why he ever left the 4-color world. 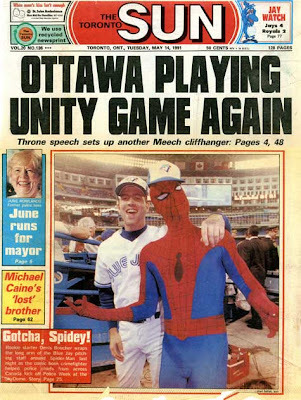 After the relatively subdued release of “Double Trouble”—a WaWa signing here, a Tim Horton appearance there—the third issue was heralded in spectacular fashion: Spider-Man throwing out the first pitch at a Toronto Blue Jays game! And the honor of donning the red-and-blue befell to Eric’s favorite man in tights: me, the anti-Mr. Baseball. Fortunately, I wasn’t expected to hit the ball or field. Otherwise, it would’ve been a long night indeed, though a fitting punishment, emphasis on the pun. Y’see, I frequently quipped with those young charges at gigs who were obviously fans of America’s favorite pastime—whether it be apparent from a hat or T-shirt they wore—about what a good ballplayer I was. Before they could respond I’d mention how exceptional I was at fielding because I was great at catching flies. Get it? Spider…? Catching flies…? I keep lobbing them to ya, son, and you keep missing them. Boy’s as sharp as a bag full of wet mice. Anyway, The kids would stare while their parents simultaneously groaned and chuckled. T’would serve me right to be to have to prove it! Despite my dismal credentials, it wasn’t like I couldn’t throw a baseball. I enjoyed the occasional game of Pickle (aka Squeeze) and participated in softball games. It also helped that my oldest sister was the athlete that I wasn’t, so we engaged in a game of catch now and again, in between our one-on-one street hockey matches in the backyard. Still, though the inaugural throw of a ballgame is more of a ceremonial toss to the catcher than anything resembling a pitch, there is the onus of having one and only one shot at it. Oh, yeah, and thousands of people are watching you from the stands with millions more across the continent. There was also the certainty of making the highlight reel—not in a good way—of ESPN, never mind the various local sports telecasts, if I pulled an “epic fail.” If the pressure of the situation weren’t enough on its own, I had to contend with a skintight spandex outfit, which afforded skewed depth perception and zero tactility in my fingers. So the last thing on my mind was throwing a strike; my main concern was simply getting the ball to the catcher without his having to perform some gymnastic maneuver to keep it from flying into the stands. I could always play a soft lob as me just being careful not to use my Spidey strength for fear of hurting the catcher, if so questioned by the reporters splayed out behind home plate and along the first and third baselines, with their shutterbug and camera man entourages, all there to get a good view of Spider-Man’s historic throw. But missing the target completely was out of the question. I was a superhero, after all, with powers and abilities far beyond those of the hoi polloi; not some octogenarian political figure or long-retired local sports hero. They could be forgiven; Spider-Man would not. Is it any wonder my memories of the event are foggy at best. 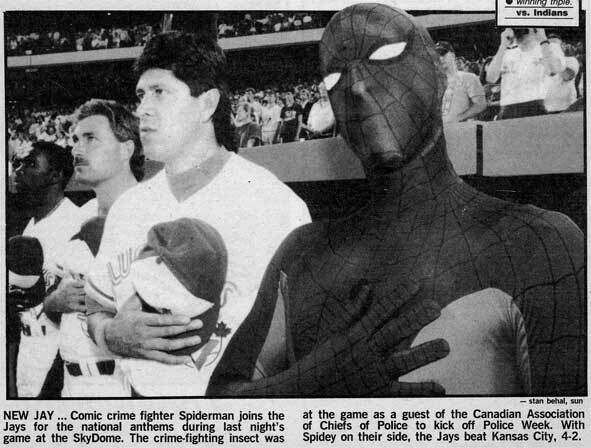 I have no recollection of donning the red-and-blue, although I must have at some point and somewhere within the Skydome facility. It may very well have been a janitor’s closet in the access corridors, which surround the field under the bleachers. I was escorted directly from the dressing room to my entrance point. Along the line I put on a Jays baseball hat. There was barely enough time for me to be nervous, never mind practice my pitch, though I recall being terrified as I waited in the wings for the PA announcer to introduce me to the thousands of fans, which filled the arena. Somehow I got onto the field. 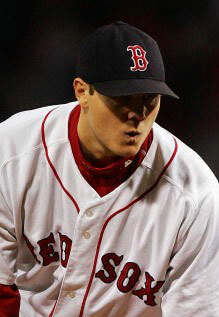 I didn’t screw around; just trotted to the mound, as I would were I relieving the starter. My body was a tingle, and I felt as exposed as those dreams where you enter the classroom without any clothes on. “All we need is one pin, Rodney,” a quote from the successful Lite Beer commercials of the 70–80s, looped in my mind. 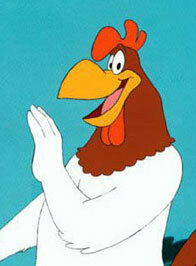 The Rodney in question was Dangerfield and he indeed missed hitting a single bowling pin in the classic ad. I ignored the voices in my head and concentrated on the Blue Jays catcher, Pat Borders. Thank God for the Jays cap. One thing I hadn’t counted on was the stadium lighting, which had the affect on me of snow blindness when I raised my head to any degree. The hat’s brim shielded those unforgiving beams as long as I tilted my head down, like former Red Sox reliever John Papelbon trying to garner a save. I “stared down” Borders to get a bead on where he was and affected a wind-up. Again, I wasn’t trying to impress anyone; I just didn’t want to make a fool of myself. I released the ball and prayed that I judged the distance correctly. The ball did indeed arc toward the plate, but I hit the mark with little more than Borders having to adjust his mitt about a foot higher than its starting point. I needn’t be told what to do next: I jogged to home plate where Borders met me with a hearty handshake and praise for a ball well thrown. I apologized if it was a little hard, citing the excitement of the moment making me forget to ease up on using my powers. He seemed tickled by the exchange. But now what do I do. I felt like Rudy after he’s finally allowed into the last Notre Dame game of the season. No one directed me off the field so I joined the players in the singing of both the Canadian and American national anthems. As is their wont, the fans cheered during the final measure and the game was afoot. 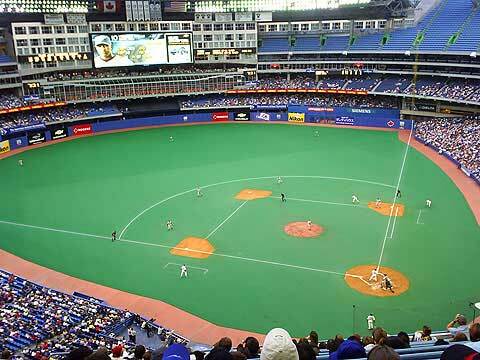 As the home team, the Blue Jays would be hitting last, so they trotted out to the field, while their opponent, the Kansas City Royals prepared to bat. I kept expecting the umpire or other baseball Nabob to direct me off the field, but no such person materialized. Of all the dugouts in all the ballparks in all the world, he has to be seated in mine! 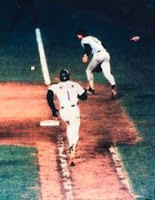 So naturally I headed for the Blue Jays dugout where I’m greeted by Mookie Wilson, former New York Met and beloved Red Sox nemesis, whose infamous game-winning hit trickled through Bill Buckner’s legs in legendary Game Six of the 1986 World Series. Portraying the idol of the Big Apple, I betrayed not a wit of my Beantown roots. On the contrary, I was beside myself with effusiveness, heartily praising my “hometown” hero and perching next to him on the bench. Next thing you know, Mookie and I are up on the stadium jumbo-tron, the fans screaming in delight as I playfully struck a pose and Wilson joined in with his own Spider-Man maneuver. Our antics proved too much of a distraction, however—apparently there was a ball game going on—and the aforementioned arena henchman appeared to ask that I accompany him from the park. I waved and bowed, relishing my remaining moments in the Big Show, as I headed for the exit. The Blue Jays went on to beat the Royals 4–2 on their way to the best record in the American League Eastern Division. They would eventually lose in the playoffs, but win back-to-back Major League Championships in ’92 and ’93. Coincidentally, future New York Yankees pitcher, David Wells, got the win, inspired no doubt by sharing the mound with Spider-Man!